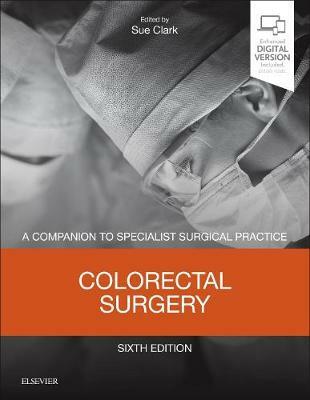 Colorectal Surgery meets the needs of surgeons in higher training and practising consultants for a contemporary and evidence-based account of this sub-specialty that is relevant to their general surgical practice. It is a practical reference source incorporating the most current information on recent developments, management issues and operative procedures. The text is thoroughly referenced and supported by evidence-based recommendations wherever possible, distinguishing between strong evidence to support a conclusion, and evidence suggesting that a recommendation can be reached on the balance of probabilities. For this Sixth Edition the authorship team across the series has been expanded to include additional European and World experts, with an increased emphasis on global practice. Throughout all six volumes the contents have been extensively revised in line with recently published evidence. Detailed supportive key references are provided and are also included within the comprehensive list of references in the accompanying ebook. Links to recommended online videos have been added where appropriate.